Page Six is reporting that Kate Moss has recently purchased a L.A. condo in the Sierra Towers Building. 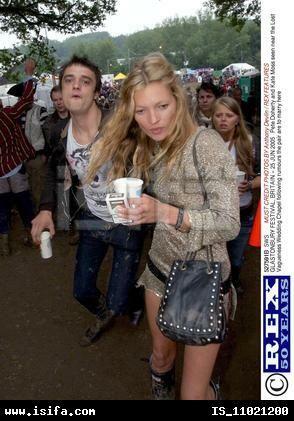 Moss is desperately trying to get away from her drugged out ex-fiance' Pete Doherty. The on and off again couple, have been off lately due to Doherty's crack and coke addiction. Moss will have another coke friendly neighbor though........Lindsay Lohan lives in the same condo tower. At least when Moss's ex comes to visit he'll know where he can buy it. and that guys a drunk? no way, never would have guessed.